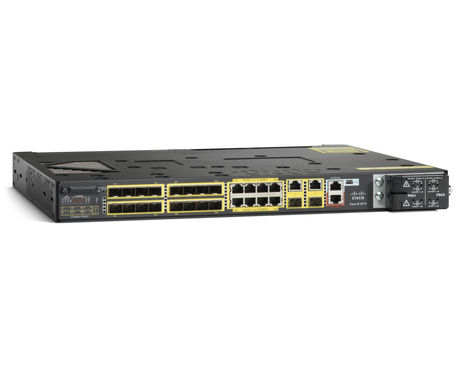 The Cisco® Industrial Ethernet 3010 Series (IE 3010) is a family of rack-mount L2/L3 switches provide fiber SFP layer 3 aggregation and Power over Ethernet (PoE) configurations in the harsh industrial environment. It brings Cisco's leadership in switching to industrial Ethernet application with innovative features, robust security, and end- to-end Ethernet in the industrial network. The Cisco IE 3010 Series is an ideal product for Industrial Ethernet applications, including factory automation, process automation and control, intelligent transportation systems (ITSs), rail transport, and mass transit. - Intelligent transportation systems (ITSs): The Cisco IE 3010 supports ITS and other applications for outdoor video and traffic or transportation systems control. 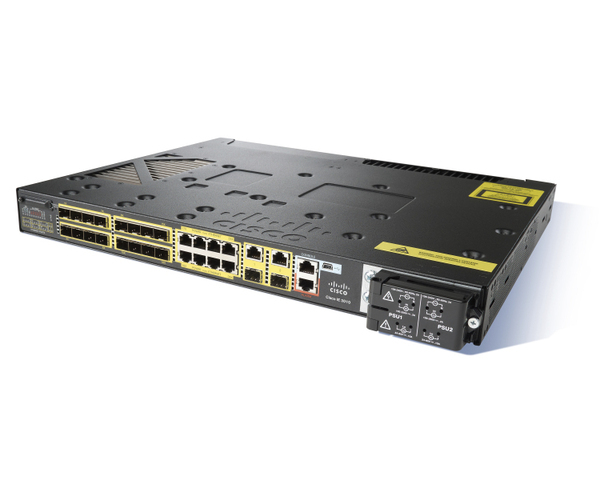 The switch supports compliance to NEMA TS-2, a variety of gigabit fiber uplinks, and AC and DC power input options, while Cisco IOS Software supports critical ITS features, including virtual LAN (VLAN), QoS, Internet Group Management Protocol (IGMP) snooping, and security access control lists (ACLs). - Industrial automation: The Cisco IE 3010 is designed to support a wide array of Industrial Ethernet protocols for automation. The Cisco IE 3010 features an industrial compliance design with extended environmental ratings, convection cooling, rack mounting, redundant AC, DC or a combination of both power input, alarm relays, and surge/noise immunity. The Cisco IE 3010 software and configuration tools allow for easy setup, optimized for Industrial Ethernet applications, multicast control, traffic prioritization, and security features, specified in default templates recommended for these protocols. - Other applications: The Cisco IE 3010 can be deployed in railway, mass transit, military, Metro Ethernet, and other applications requiring rugged design, form factor, and unique power inputs in harsh environments.